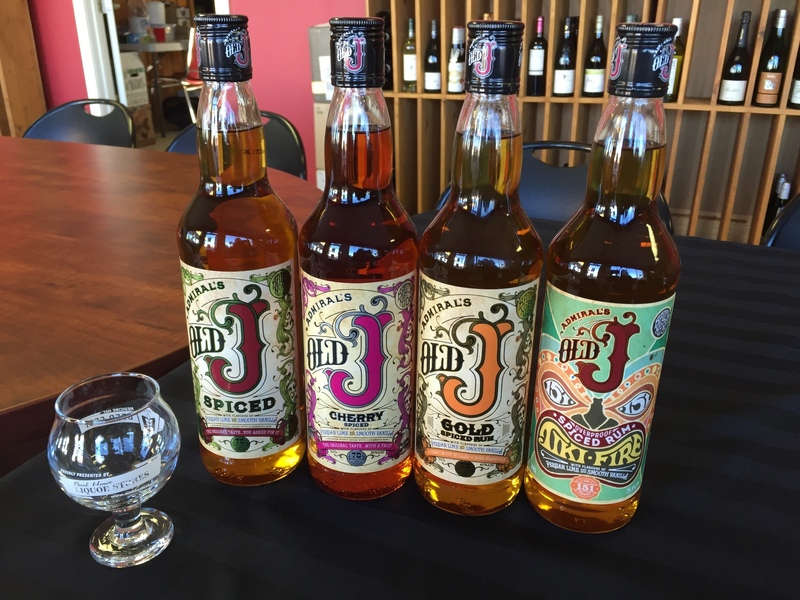 Have you found an online vendor selling Old J TIki Fire Spiced? I didn't expect to like this much given it's low price. And flavored rums aren't usually my favorite. But this has a beautiful nose of heavy vanilla and a hint of lime that smelled surprisingly good. I was eager to try it at straight at 151 proof. To my surprise, I didn't have any difficulty drinking it straight. The 75.5abv really counterbalances the super sweet vanilla flavor. In fact, I found this better straight than after I added water. The question for me was "which is the best overproof rum, the Old J Tiki Fire Spices, or the Lemon Hart 151 (the two highest rated overproof rums as of this review)"? That was a tough question as the Lemon Hart has a more traditional rum flavor which I usually prefer. I tried them straight, and then I mixed them with cold water. 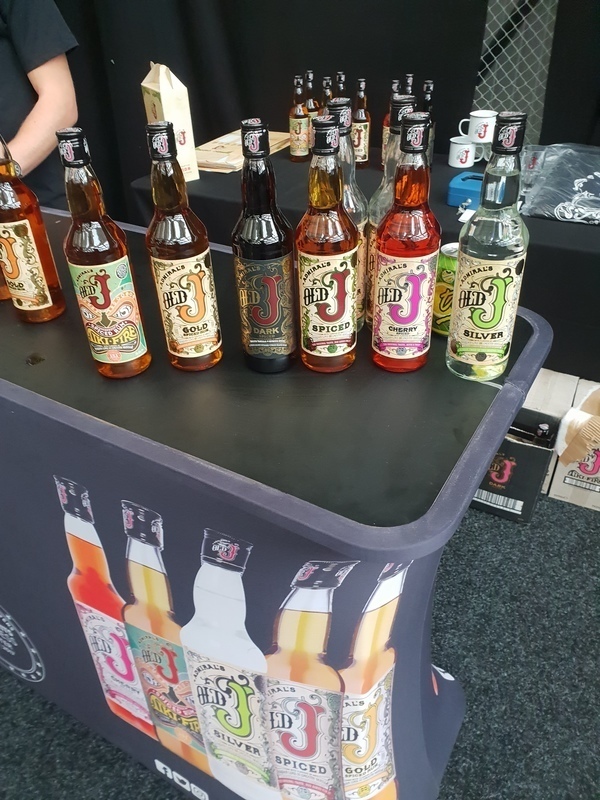 Though I'm generally not a huge fan of flavored rums (which the Old J Tiki Spiced is), I really like the Old J Tiki Spiced. The sweet vanilla flavor somehow works at a high abv. I rate both overproof rums a low 8, but I'll give this an ever so slight edge over the Lemon Hart. I guess it's the sweet tooth in me. I normally wouldn't take a 151 rum straight, but this was actually a pleasant experience. Very full of flavor with vanilla and lime, the spice is not overpowering, and the burn is slight. A fun rum. A very powerful rum that definitely blows the cobwebs away, however it's still smooth despite its sheer strength. This mixes very well with apple juice and I don't usually like apple juice. Dark Matter was my all time favourite spiced rum until I found this tipple. Very powerful drink and yet remains smooth and pleasant to the last drop. Still to decide if I prefer it with coke or ginger beer. When you sample this one don't give up after the first kiss! All Overproofs are fire, of course, but a second and subsequent sips will change the profile considerably. Novocaine, becomes a river of lime down the tongue becomes concentrated spicy goodness. A treat compared to most 151 rums. I first tried this in St Ives, Cornwall. The barmaid asked if I wanted ice, coke or lemonade with it. I prefer straight up. She said are you sure. She watched my first sip and reaction...blimey my mouth was on fire! But once the inferno was out and my taste buds shrivelled, it was ok. I purchased a bottle for special occasions !!! Despite momentarily feeling other worldly, this rum gives a feeling of lava mixed with elegant vanilla, a strange yet effective concoction. A very potent rum, but also very tasty! Vanilla and lime smell strong, but are not overpowering. Big burn on the way down! I can't drink a lot of it, but it's a tasty one. Found this in a pub in Bath. My only other experience of vanilla in a rum was Pink Pigeon and it was a totally different experience. You can feel the bite in the Tiki but bit is so smooth, with the vanilla jumping out. Tried a few different brands this night and this stood out!! Wow this packs a punch. It burns, but in a loving way. I would recommend anyone pick up a bottle of you see it on the shelf. Worth every penny. Great fun at worries so long as you drink in moderation. Go easy with this one! So much vanilla! What a ride! Typically the overproof rums taste nothing but alcohol, but the Admiral Vernon's Old J Tiki Fire Spiced Rum at 151 proof has a very strong vanilla smell with a hint of lemon and the taste test reveals an explosion of vanilla and cinnamon. This is the best overproof rum I have tried from well over 400 aged dark rums later. As an overproof rum, this packs a punch but it is also smooth. It has a very strong vanilla/caramel aroma (though don’t sniff too hard!) and could be sipped, but is best mixed with ginger beer (or cola if you want to spice up your usual). An over-proof version of their usual spiced rum offering and the 75.5abv really helps to cut through their added flavourings. Good for tiki drinks. if need a pick up on a winter's night. it hits the spot.